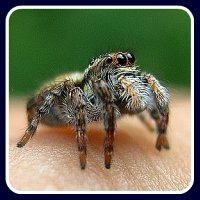 Here is our Spider Bite First Aid guide. Most spider bites are harmless and cause only a mild irritation however people can have allergic reactions. In the USA bites from the Black Widow and Brown Recluse Spiders can be serious and even life threatening. In Australia it is the Red Back and Funnel Web Spider whose bites can cause death. Although the last recorded death was in 1979 due to the development of anti-venom. Place ice packs on the bite 10 minutes on and 10 minutes off. Repeat as needed. Use an antihistamine ointment if you feel it is needed. Monitor the patient for the next few days for signs of infection. If the person shows signs of an allergic reaction call their local emergency services - signs may include shortness of breath, swelling of the face, difficulty swallowing or breathing, nausea and vomiting. While waiting for help to arrive check the patient's breathing. If they are not breathing and there is no sign of a pulse begin CPR. Use an EpiPen if available. Remove rings and restrictive clothing in case of swelling. If the person shows signs of shock - symptoms include sweating, pale complexion, bluish lips and fingernails and shallow breathing. It is best to lie them down and elevate their feet 30cm (12inches) Go to our First Aid for Shock page for for helpful information. Remain with the patient until help arrives.